It's nearly Polish Pick Up time again and this month there is a new brand (new to Polish Pick Up, not a brand new brand) joining the line up. This is Grace-full Nail Polish's first polish for the Polish Pick Up and *spoiler alert* it's a stunning polish! I am such a sucker for purple polishes and Grace-full Nail Polish do awesome purples. 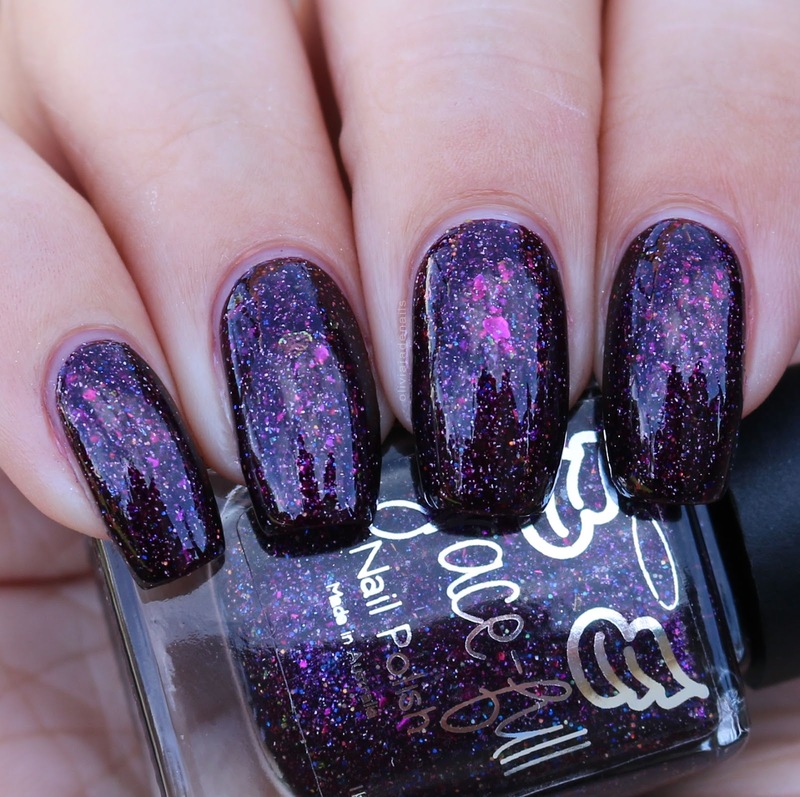 Message In A Model is a dark purple jelly with chameleon flakies, micro holo glitter and holo flakes. As I mentioned earlier I love this polish. She is a stunner and has a great, even formula. My swatch shows two coats. How stunning is this polish? This is one that should go on everyone's must buy list. Message In A Model will be will be available via the Polish Pick Up from Friday 4th May at 11am EST until Monday 7th May. This polish is capped to 130 bottles so if you want it then I highly recommend grabbing it ASAP.